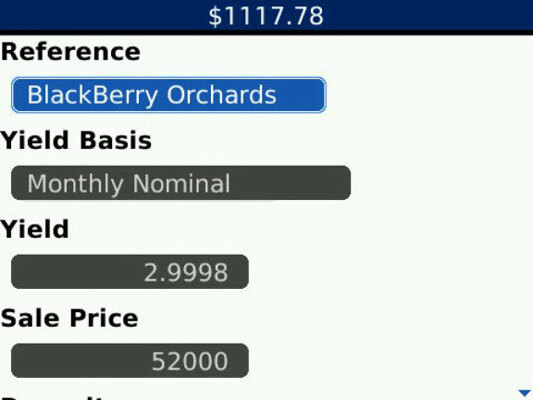 Get your finances in order from your BlackBerry. You can find apps that deal with all things financial, from locating an ATM to following stocks to calculating car payments. 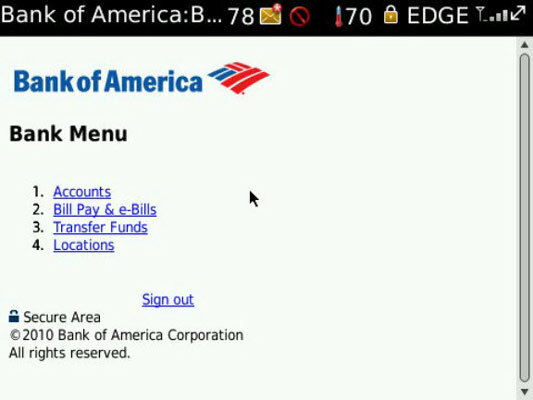 You can even use the PayPal BlackBerry app to make transactions. ATM Hunter, offered as a free app by MasterCard, is aptly named: It finds the nearest electronic banking center, tells you some details about its location and services, and then presents a map so that you can go hunt it down. 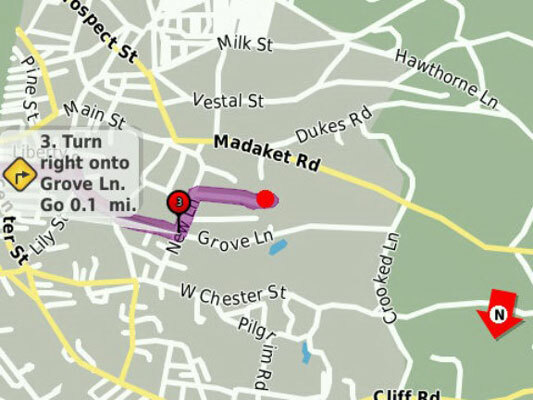 Even better: Your BlackBerry can determine your location (or you can input it), and then it displays a map or a set of step-by-step instructions that can get you from here to there. Mobatech’s Mobile Checkbook is intended to serve as a quick and simple recording device on your BlackBerry for checks you write and deposits you make while out and about. The app comes equipped with a savings and a checking category. 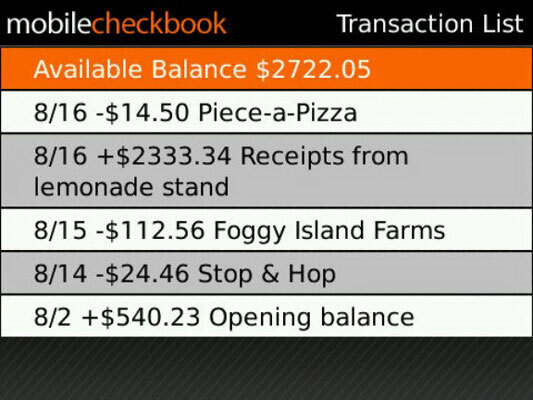 Mobile Checkbook can also export its listings of transactions by e-mails. You can choose between the XLS and QIF formats. The Morningstar Mobile app (which uses the same login and password you set up on the Web) allows you to sync to the same portfolios and watch lists you established on your Morningstar Web site account, which can include stocks, mutual funds, and certain other types of investments. 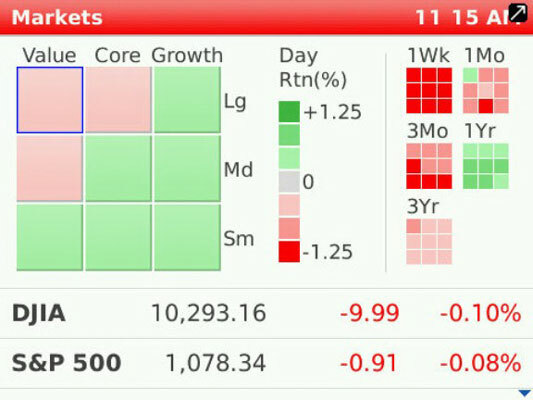 You can view performance charts and access basic Morningstar analysis, including its rating for the investment. If you trust Pageonce with your login names and passwords, it keeps in touch with all of the companies where you have accounts, posting the current balance due. 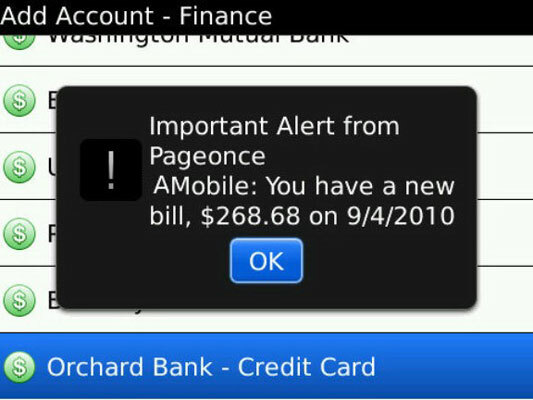 It reminds you when payments are due — by on-screen message and by adding notations to the BlackBerry calendar. The app can also pass along alerts from the companies with which you do business: overdue notices, changes to interest rates, and certain special offers. After you agree on a car price, for many buyers, the next headache involves financing. 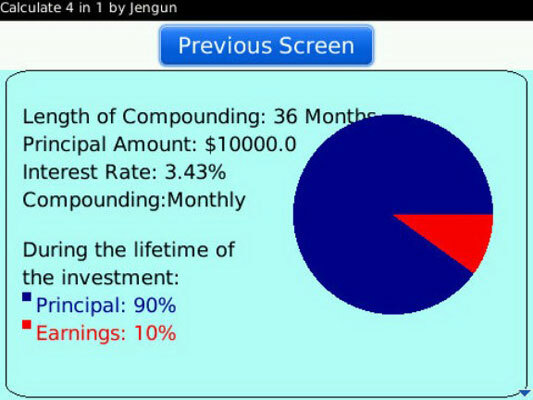 Jengun’s Car Loan Calculator can put the numbers in the palm of your hand. Enter the amount that will be financed, the number of months for the loan, and the interest rate, and then click Calculate. You get back the monthly payments and the total amount of money you’ll have to pay over the full term of the loan. PayPal is an e-commerce intermediary that allows just about anyone to pay just about anyone else for goods or services rendered. 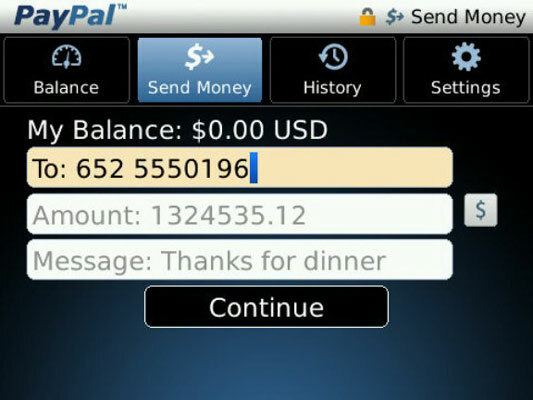 PayPal has grown to the point where it handles transactions for all sorts of clients. As such it exists in most parts of the globe in a netherworld somewhere between a financial service and a bank. In some countries outside of the United States, it also operates as an actual bank. An account with the company is free, and after you establish that account on the PayPal Web site, you can receive money from anyone you deal with. 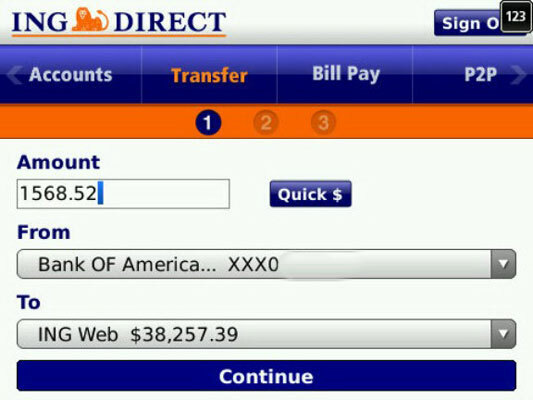 And you can use the PayPal app on your BlackBerry to send or receive money through that account. Answer the questions, click the Calculate button, and read off the numbers. It’s not going to impress people at a party, but it’s useful and simple. MobyQuote is a straight-to-the-point specialized financial calculator aimed at lenders who need to quickly calculate — and adjust, when necessary — terms for a lease or loan. In a nutshell, it works like this: enter the type of yield (monthly or annual) you need to achieve and then enter the sale price. Other fields you can work with include administrative fees and commissions. You can enter a term (number of months) and let the app work out the monthly payment, or you can enter the monthly payment and let it tell you how long the loan will run or how much the borrower can be advanced. MyStocks is a very simple tool to track just one thing: the price of shares of stock or mutual funds. You enter the stock symbol in a list, and the app displays its current price, including any rises or falls during the current day. If you click the BlackBerry Menu key, you can ask the app to give you details on the stock: the bid and ask price, the previous close, the 52-week range. You can also display from 3 to 20 months of prices, and jump to Yahoo! for a full page of information about the company’s financials and operations. With apps like Y! Finance, there’s no way to avoid the temptation to check in on your investment portfolio all through the day and into the night. Y! Finance is a window into the full Web page of Yahoo! Finance, which includes a nearly full range of investment tracking and research options. All of the heavy lifting when setting up your portfolio details takes place on your personal computer. 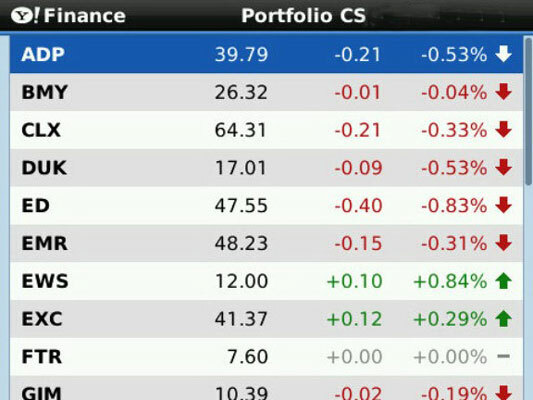 The BlackBerry app amounts to a personalized ticker (delayed 15 minutes behind the actual markets). You can also expand an individual stock to find out the day’s trading range, it’s 52-week range, and a variety of other information.